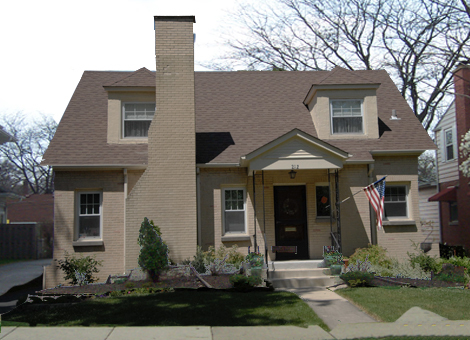 This Wilmette home had been neglected for many years. 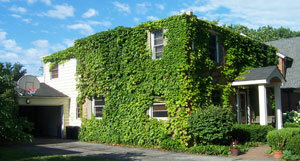 Thick ivy covered the entire home. 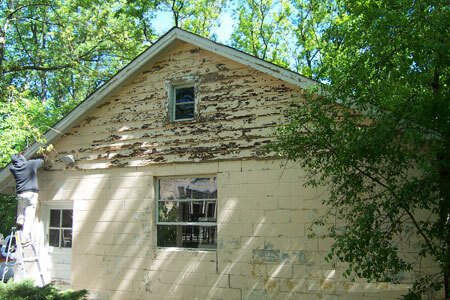 Much of the wood work under the ivy was completely rotted and needed replacement. 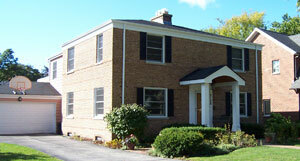 All of the brick was cleared of ivy and thoroughly cleaned. 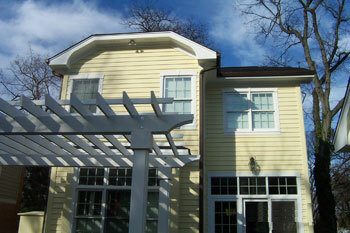 With new paint and shutters, the home looks just as good as it did many years ago. 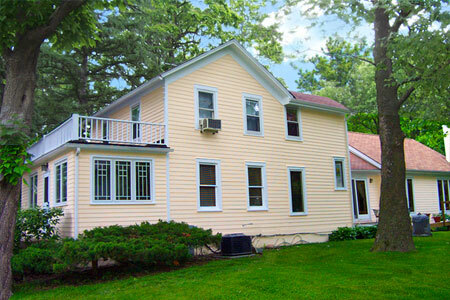 This is one of the original farmhouses in Downers Grove. 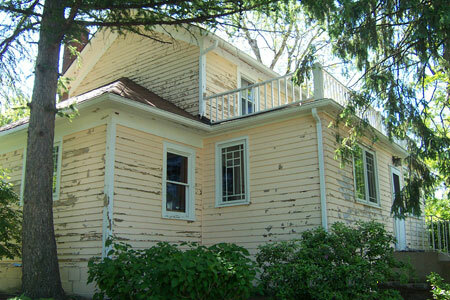 The house is more than 100 years old and required a significant amount of cedar siding and trim replacement, an extensive amount of scraping and sanding in order to restore the siding. 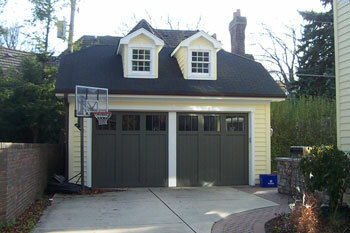 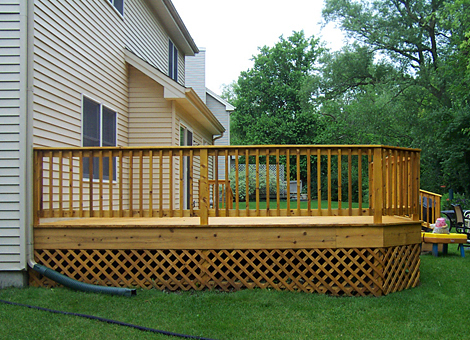 In the end, it turned out great and the homeowner continues to receive compliments and praise. 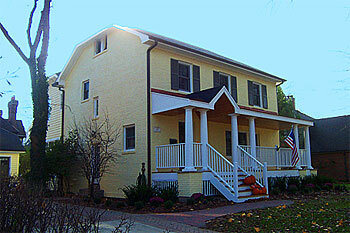 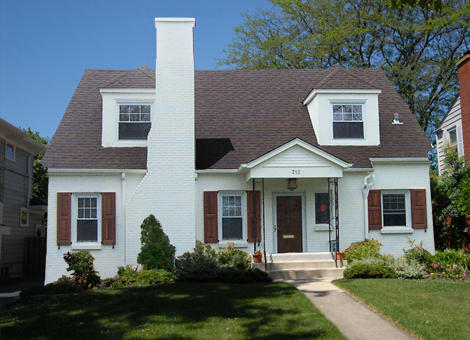 An older brick home was brought to life with mortar repairs, scrapping, painting and new shutters. 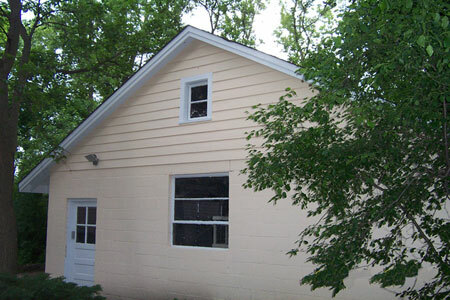 These grandparents wanted a safe place for their grandchildren to play. 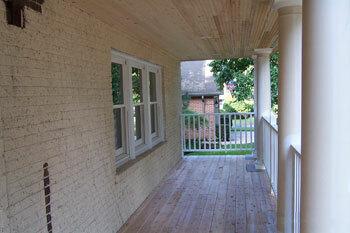 The old deck was weathered and splintered. 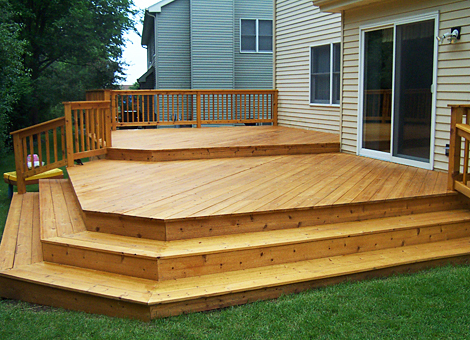 Avid Co. built-out the new cedar deck to provide a seating area for the adults and a play area for the kids.